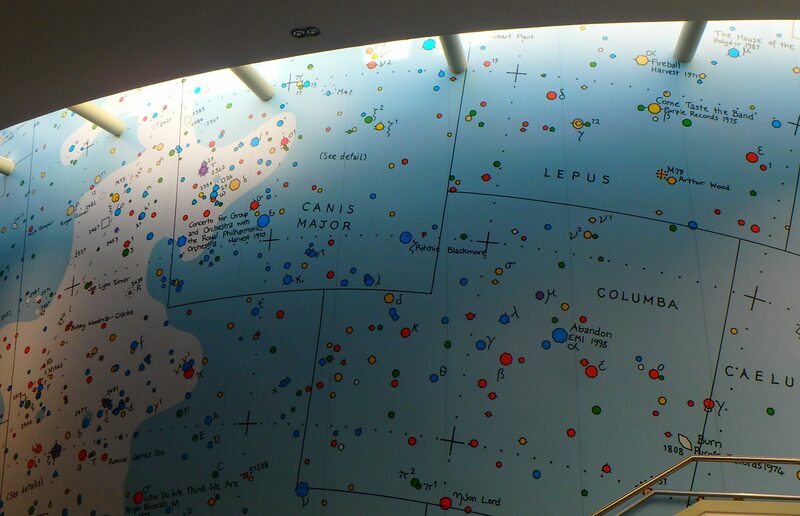 As I attended a seminar in the Ramphal Building of the University of Warwick last week, I discovered a stunning fresco in the lobby of this building, which looked like a constellation map, except that the entries sounded related to rock music. Upon further investigation (! 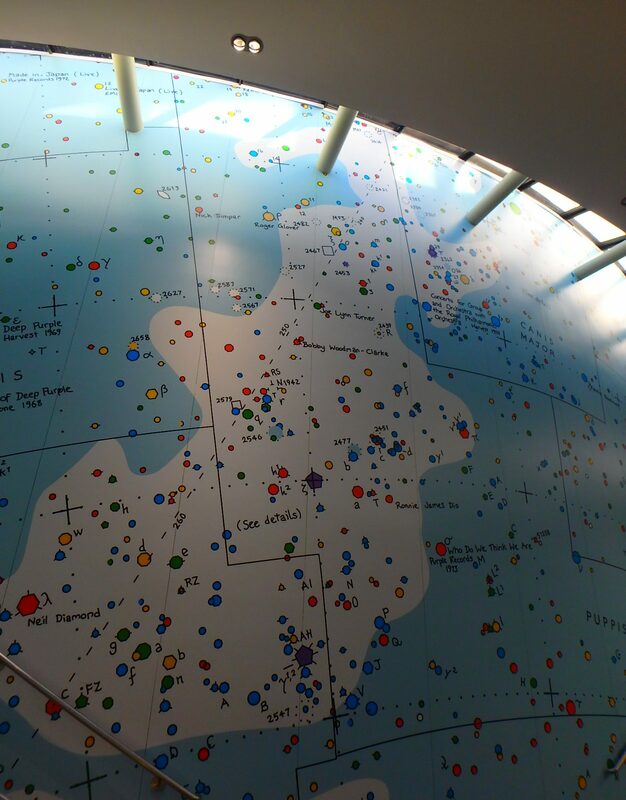 ), I found that this is a 2002 painting by Simon Patterson, called Cosmic Wallpaper, purchased by the Contemporary Art Society Special Collection Scheme for Warwick, which recuperates the map to draw an history of Deep Purple! Stunning! This entry was posted on October 20, 2018 at 12:18 am and is filed under Kids, pictures, Travel, University life with tags Cosmic Wallpaper, Deep Purple, fresco, painting, Ramphal Building, Simon Patterson, University of Warwick. You can follow any responses to this entry through the RSS 2.0 feed. You can leave a response, or trackback from your own site.